The Candy Heart kit makes five hearts. 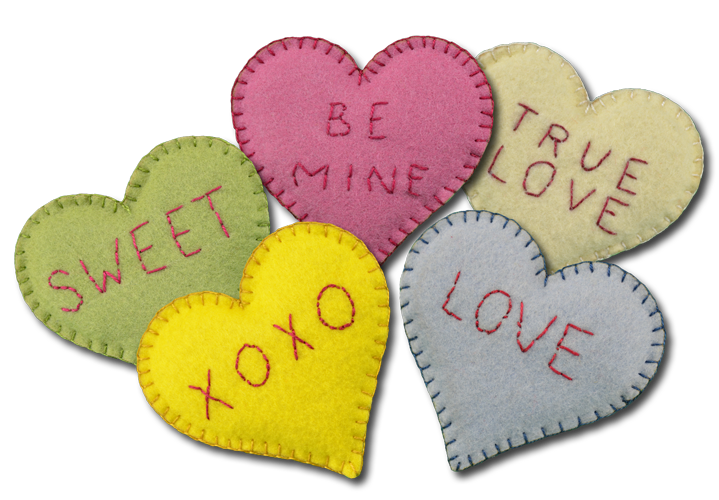 These candy hearts are great items for a sewing basket for storing pins and needles as a pincushion. They make fun table decorations and are great for complimenting other displays. 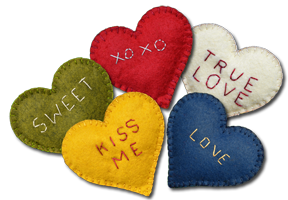 You can make them plain, add the traditional message, or embroider your favorite message and give as a gift to a friend or loved one. Just remember, these are "sugar free". 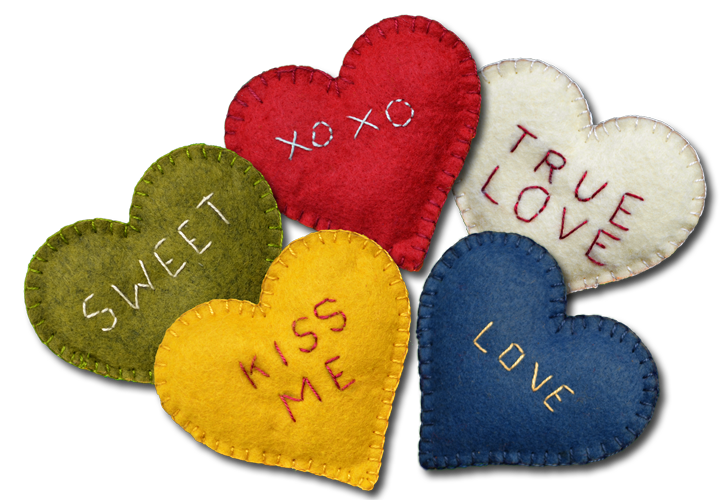 Some of the traditional messages were "hug me", "kiss", "all mine", "be mine", "marry me", "sweet", "true love", and "my love". Did you know that the original wafer styled candy was made by Oliver Chase back in 1847 with the first sayings being printed on the candy in 1866. Then around 1901, the shape changed from round to heart and the Sweetheart® company got its start. 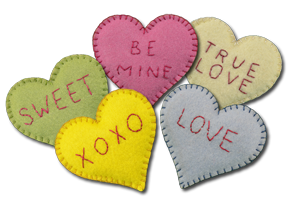 Our wool felt candy hearts are in the Pennsylvania Dutch style of the early 1800's. Everything you need to start is in the package including precision cut wool felt, stuffing, floss, a needle and instructions.